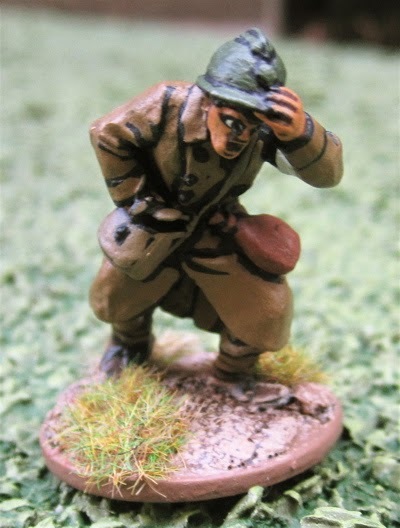 I’m not sure what the first 28mm WW2 troops I bought were. 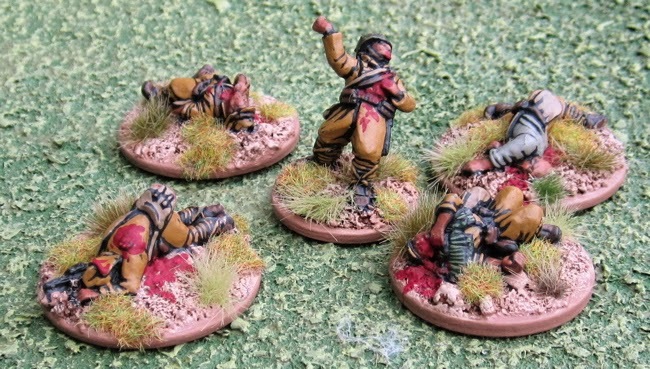 I think it all started with Pulp Adventure skirmishing with Savage Worlds. Nazis are the ultimate bad guys in Pulp Adventure skirmishing so I think I started with the Afrika Korps and some LRDG/SAS troopers as heroes trying to keep Nazis from finding the Arc of the Covenant or foiling their plans to raise the dead at secret bases deep in the desert… As the Pulp Adventure gaming lead to Weird War Two (and more world War Two stuff became available in 28mm) I slowly added to the collection. 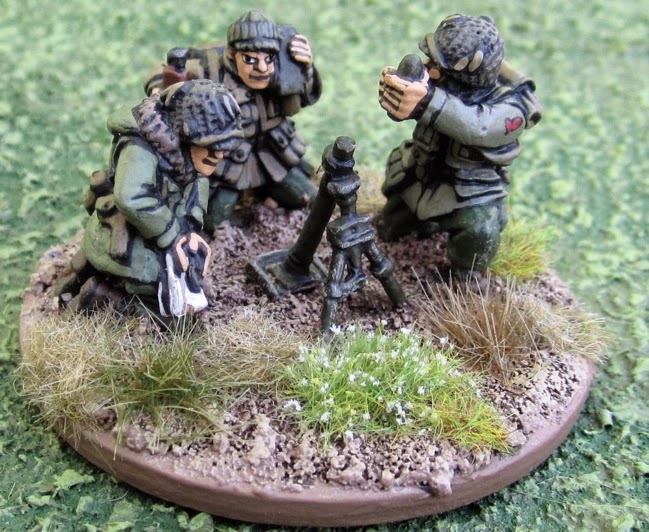 More recently I have tried out Bolt Action for larger engagements and would be keen to try out Flying Lead for smaller scale engagements. 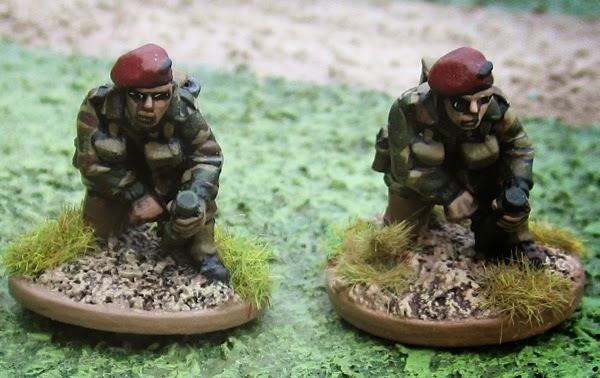 Most of the forces presented in this gallery are based around a single platoon of infantry with various optional supporting elements from the company, battalion, regiment or division. These Shermans are all from West Wind Productions. 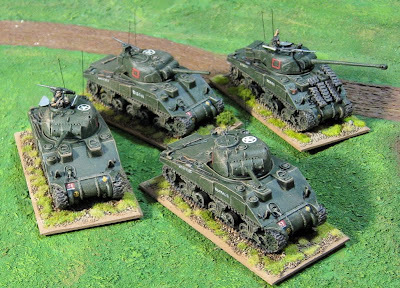 They are painted as a troop from B Squadron of the 1st Canadian Hussars (6th Armoured Regiment, 2nd Independent Canadian Armoured Brigade) who were in direct support of the 7th Canadian Infantry Brigade on D-Day. A Canadian Humber of the 7th Reconnaissance Regiment (17th Duke of York’s Royal Canadian Hussars). 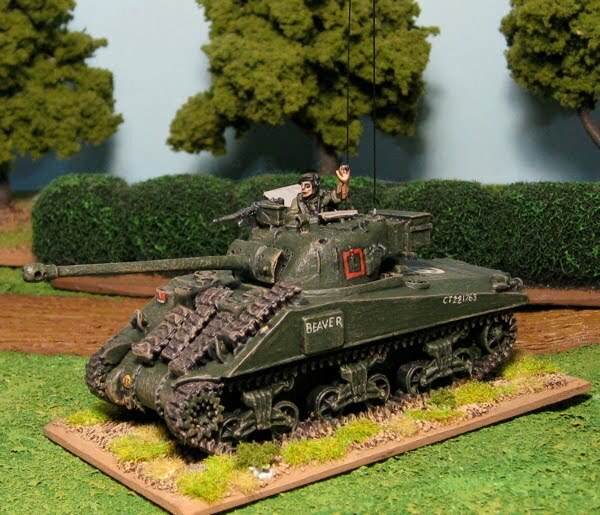 The model is and all metal kit from Black Tree Design. I did a step-by-step series of post about how I put it together - you can find them here: Part 1, Part 2, Part 3, Part 4, Part 5, and Part 6. First section I think these are all from Artizan Designs - except for the prone Bren #2 who is from Wargames Foundry and one of the section leaders who is from Crusader Miniatures. 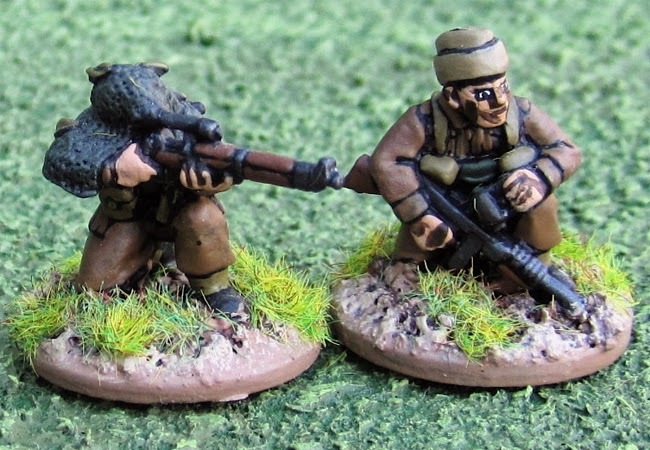 PIAT Teams - Bolt Action Miniatures on the left, Wargames Foundry on the right. 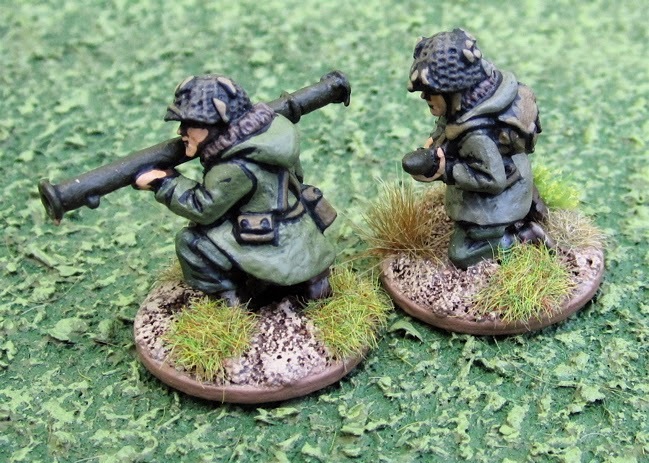 Flamethrowers These should be in teams of two – each team having one guy with the flamethrower and an assistant with a rifle or Sten. 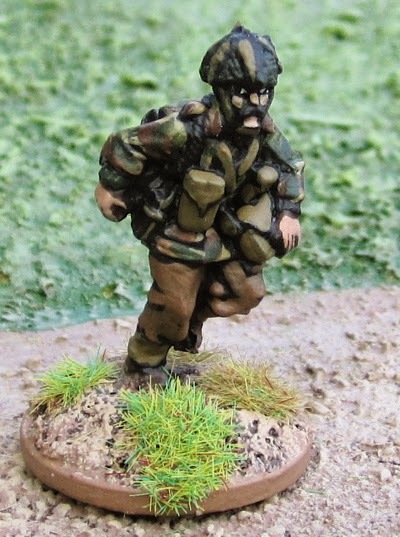 Since my paratrooper-infantry platoons are a bit “overstrength” I could steal one or two out of those sections to field with these – should they ever see action. Both are from Black Tree Design. THE PLAN was to put together a Commando Assault Troop that could be used for raiding the coast of France or Norway or… other places. 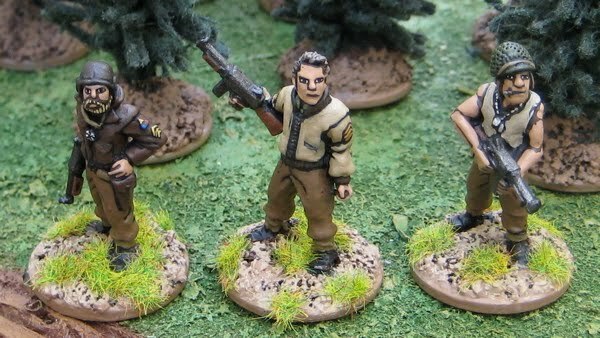 These were some of the earlier WW2 figures I picked up as Special Forces types can easily be slid into a Pulp Adventure game. 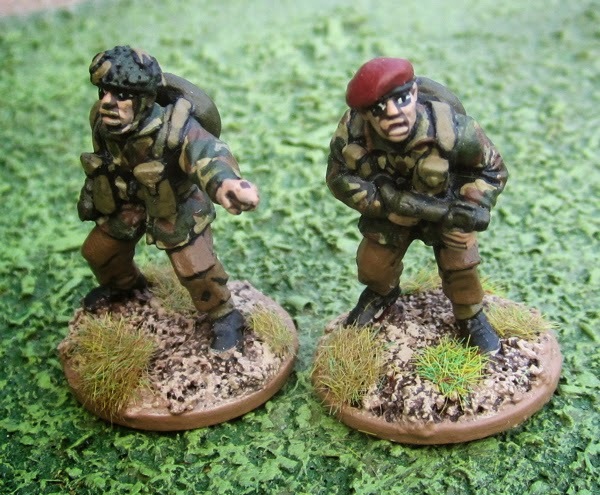 The organization of Commando Troops varied substantially from the regular British army platoon structure (and that of most armies, for that matter). Most armies at the time had platoons with a command section and 3-4 sections or squads of 9-10 guys… The Commandos had “troops” with a troop HQ and two “sections” – the sections themselves had a section HQ – commanded by a subaltern – and two subsections that I have seen listed as having anywhere from 11 to 14 commandos in it!? With the exception of the Commando Chaplain, the entire troop (so far) is made up of figures from Wargames Foundry. 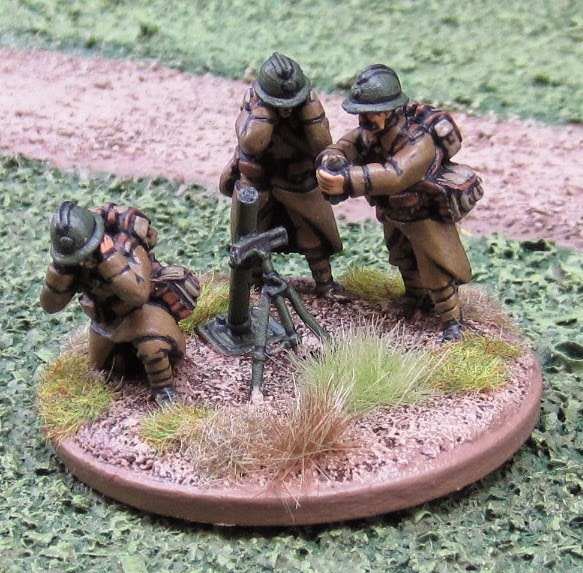 Sniper Team – these guys may have –organizationally speaking – just been part of one of the sections, but are separated out here as I figured in action they’d generally be sent off to do their own thing and in most games they’d be treated as a separate entity. 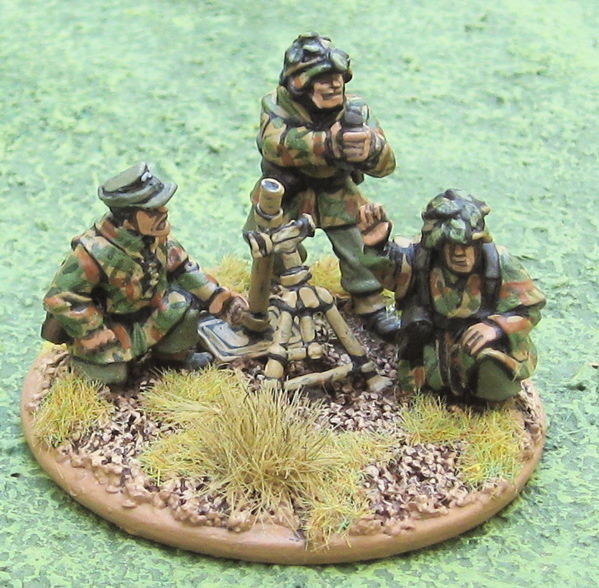 Commando Command Team which I could use as an alternate Troop Command for my Commando Troop or, more likely, I will use them as Forward observers for directing naval gunfire at targets inland. (The figures are from Artizan Designs). 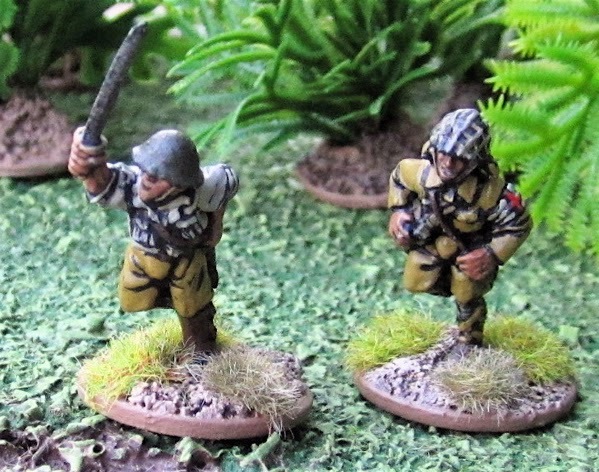 I have enough figures for a complete second section – to fill out a full Troop – but they are a mix of guys in berets and helmets (and a few left over stocking caps like the first section). 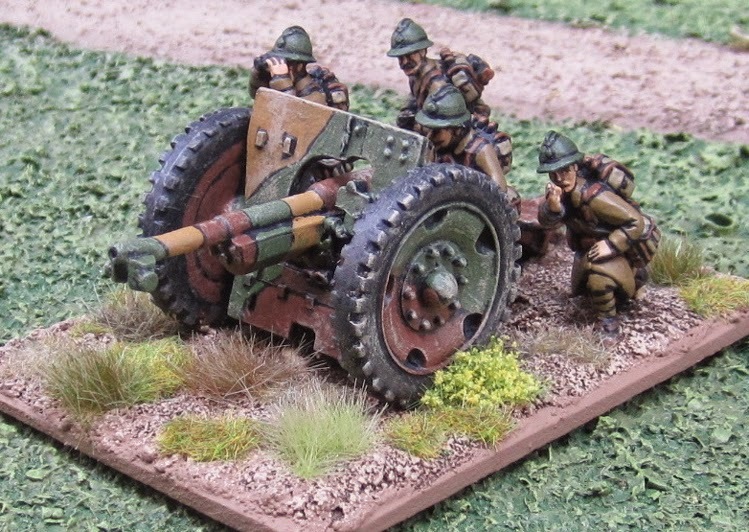 I also have a PIAT team to add to the Troop HQ for later in the war. 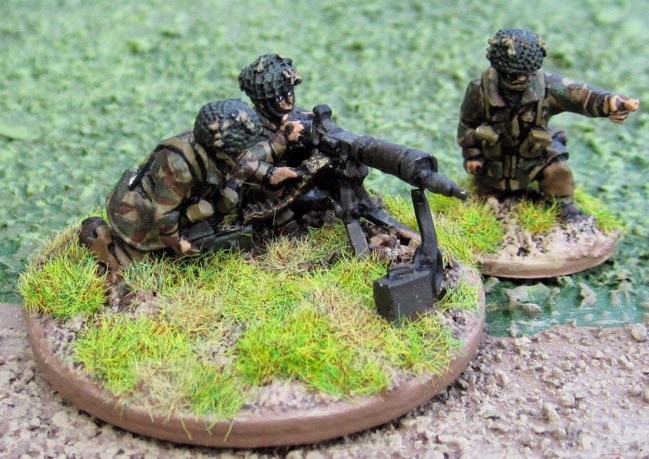 I think I also have a 3” mortar team (which would be supporting from the Commando Support Troop). 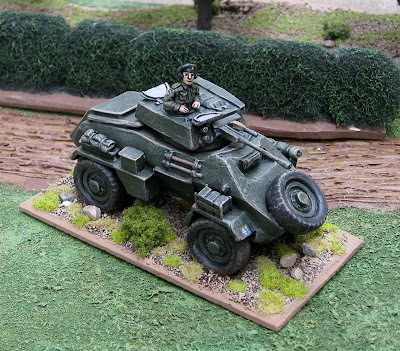 NICE TO GET : Commando Vickers MG team? Demolitions teams? 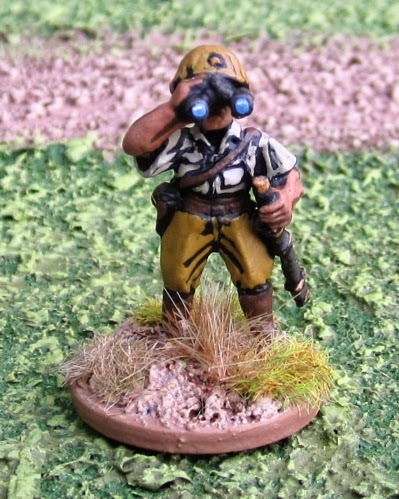 Forward Observers? 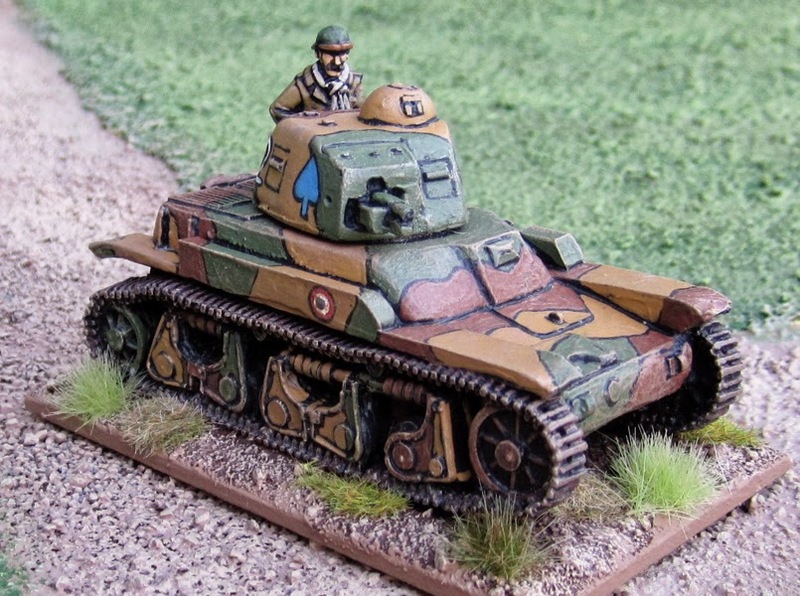 Vickers MG team(s) – somehow I ended up with TWO of these!? STILL TO DO: All done for now! NICE TO GET: A third Bren-gunner...? 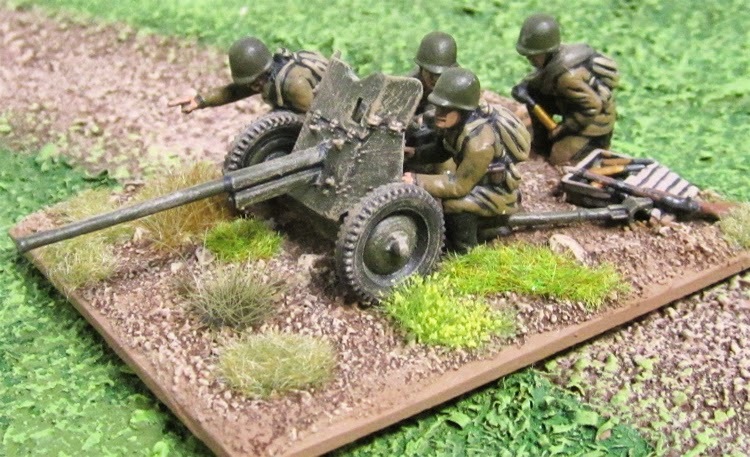 3" mortar team...? Foarward Observers? Perhaps a few more sections or a full second platoon...!? 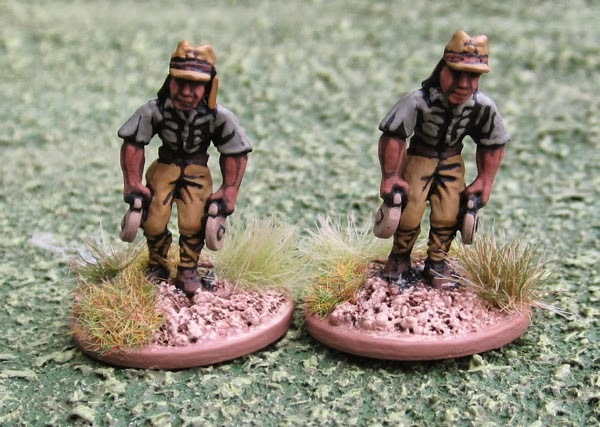 Still to come for the British - Desert Commandos and SAS/LRDG as well as a few Homeguard and 1940 BEF types. 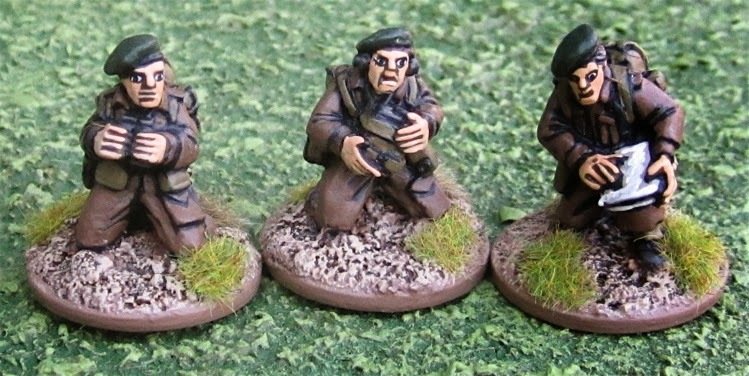 Teh Corps of the force is a Soviet Rifle Company of Three platoons with four sections each and a junior officer and sergeant commanding. 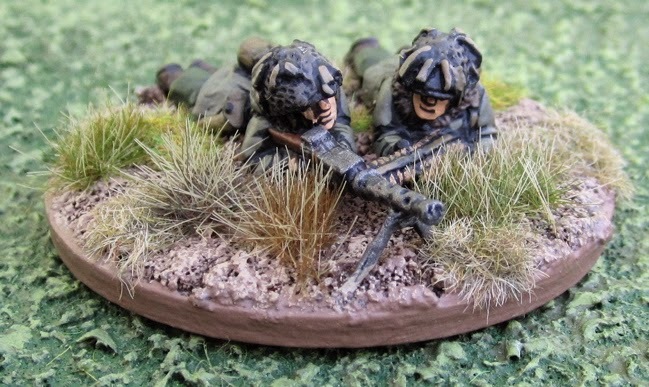 A pair of machine-gun teams from the company's MG Platoon. 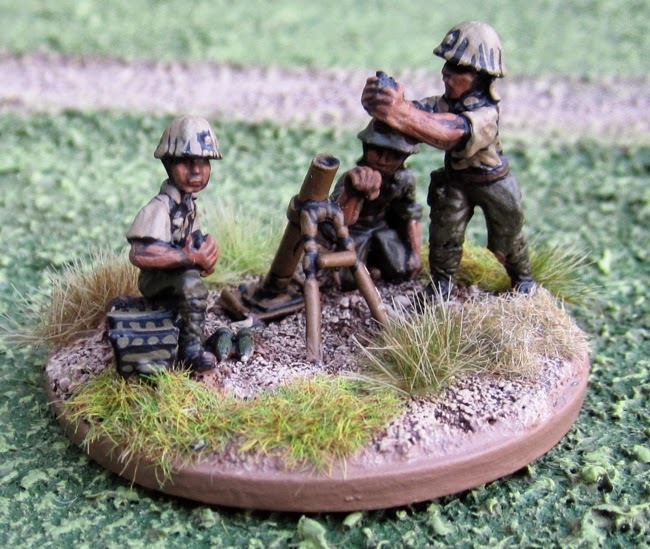 Medium (82mm) Mortar teams from the battalion's Mortar Platoon. Both from West Wind Productions. Officers, Staff and characters. 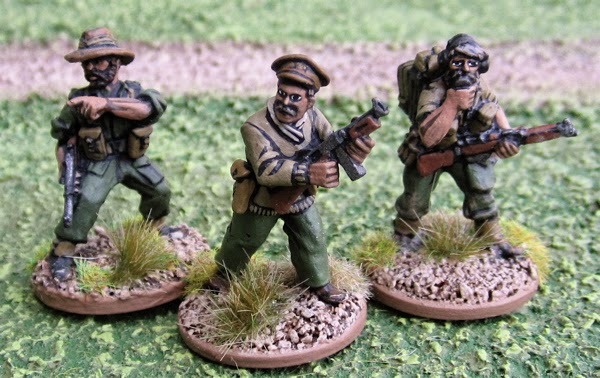 These would make up the company command, perhaps some forward observers, and perhaps visitors from the Battalion or Regimental HQ – there’s even medics, spies, a General and good ol’ Comrade Stalin himself in this lot. 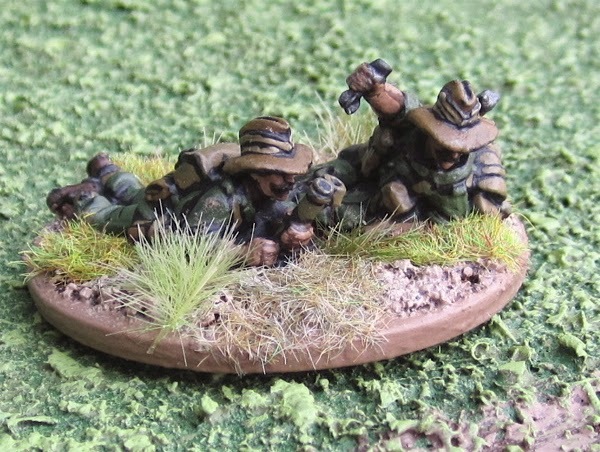 Snipers - perhaps also part of the Regimental Reconnaissance Platoon? Another Scout section - for winter scenarios... most are from West Wind Productions, but there are three sniper from Black Tree Design. 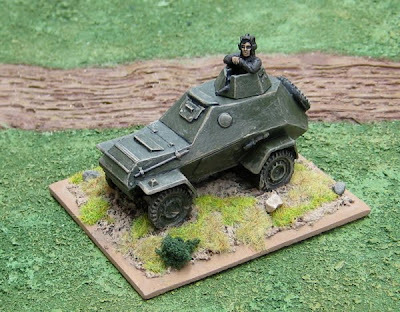 An NKVD section with a supporting MG team - to keep everyone honest and advancing towards the enemy - most of these are from Black Tree Design - thoght there's one - front and centre - from Bolt Action Miniatures. 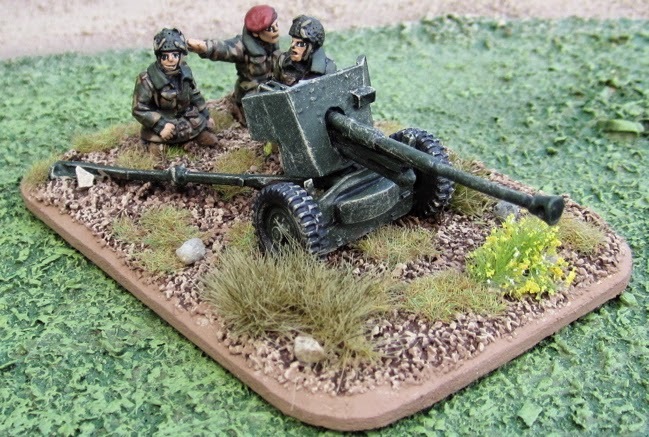 ZiS-3 76mm Divisional Anti-tank gun from Crusader Miniatures - though one of the crew came from somewhere else...? 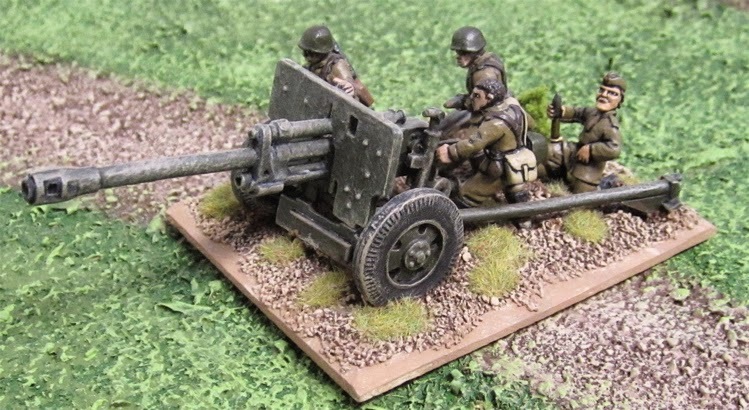 45mm M1937 Anti-tank gun from Bolt Action Miniatures. 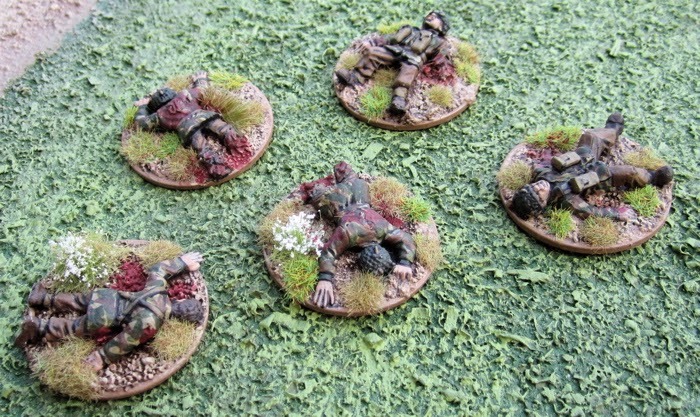 A platoon of (or perhaps a really understrength Company!?) T-34/76 from West Wind Productions. 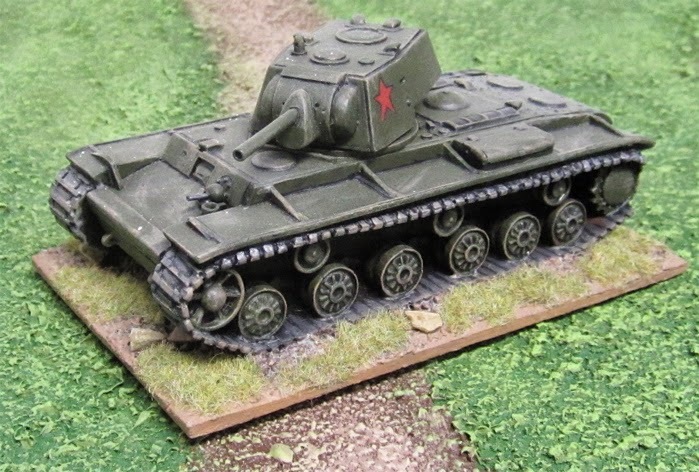 KV-1 tank from Army Group North Miniatures. 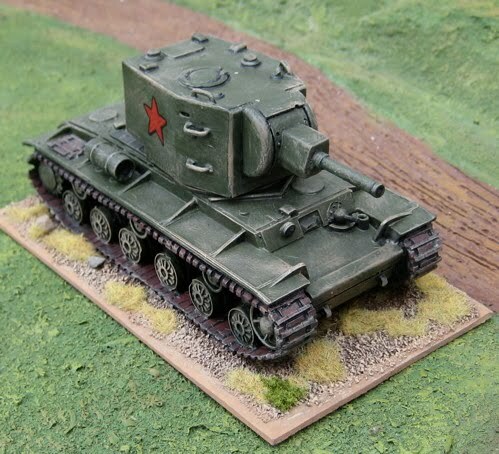 KV-2 tank from Army Group North Miniatures. To Do: As far as I'm concerned this force is DONE. I can think of no other things I could possibly want to add to it at this point - Indeed I'm not entirely sure how it got to be such the huge force that it is... What was I thinking!? 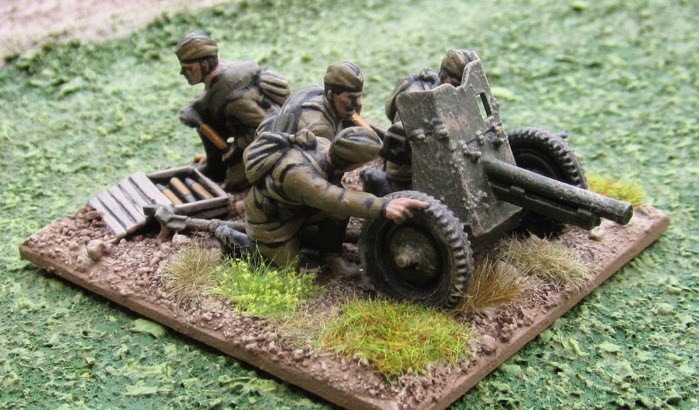 This is a small force of Early War French for defending France in May of 1940. At the corps of hte force is a standard Infantry Platoon - with various attachments from the Battalion, REgiment, Division, Corps or Army! Officer and signaler. 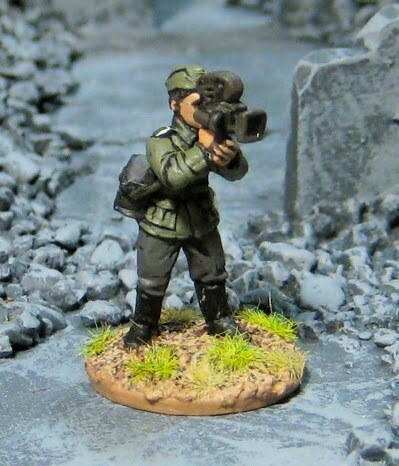 Could be either the Company Commander (Capitaine) or a Forward Artillery Observer Team...? 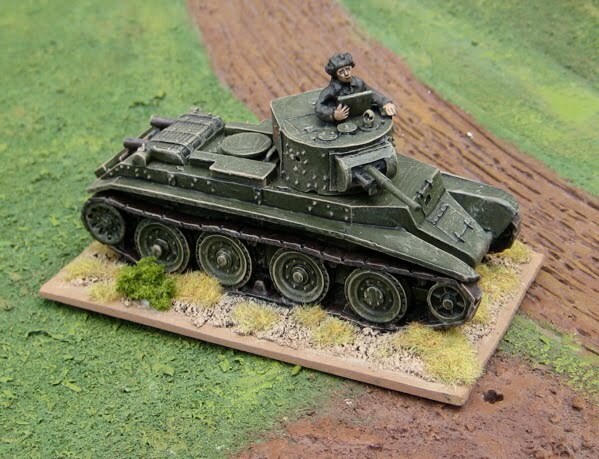 I have one small REneault R-35 to support the infantry. 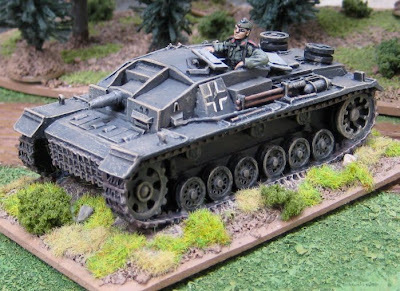 I would have been from one of the Bataillion de Chars de Combat - armoured battalions that were attached to Infantry Divisions to provided support. The entire force - an understrength platoon. All figures are from Artizan Designs. 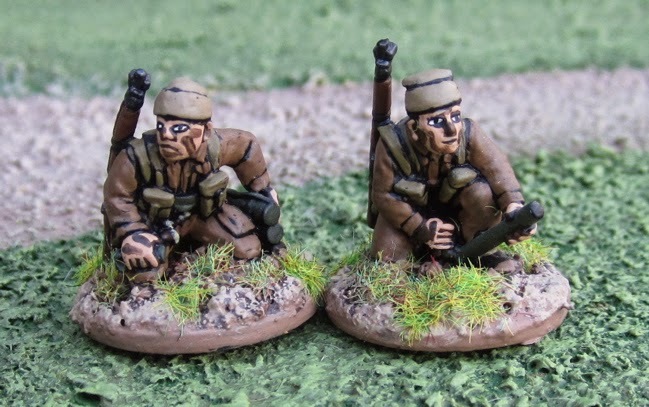 As with most of the forces I’ve put together for WW2 Skrimishing in 28mm the German forces are all based around a platoon with various optional supporting elements from the company, battalion, regiment or division. 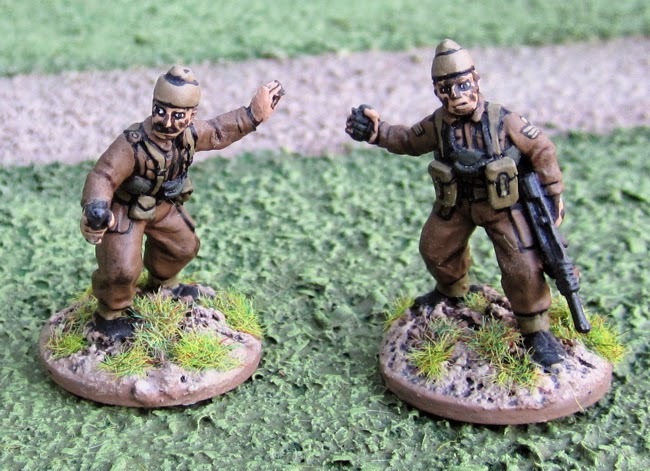 I have two platoons worth of regular army (Heer) infantry – one for earlier in the war, one for later on. 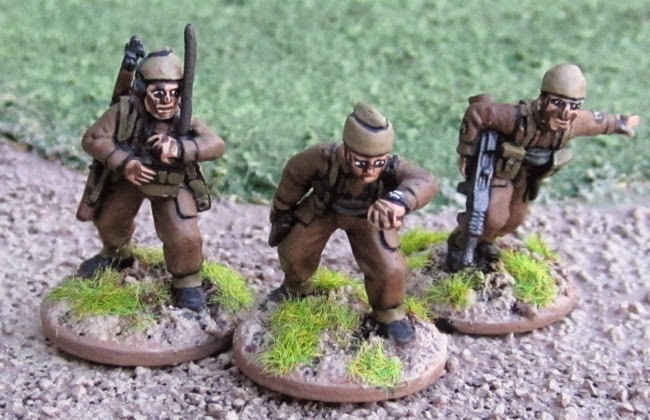 The whole Early War Infantry Platoon. 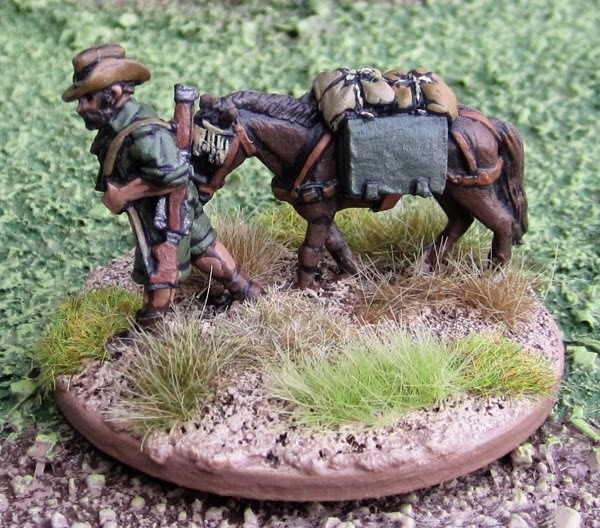 These are a mix of Crusader Miniatures and West Wind Productions. 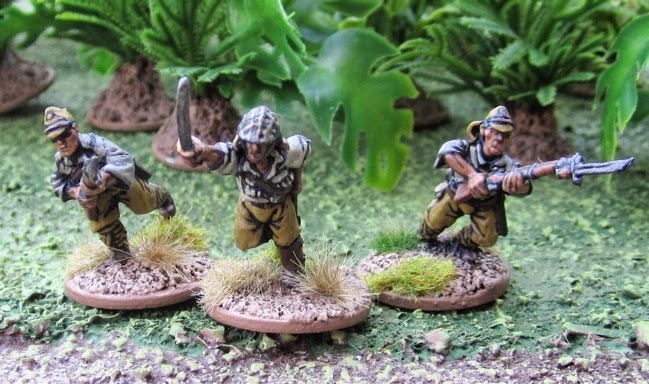 I'd bought a "platoon box" of Crusader miniatures ages ago but, at the time, the "platoon box" didn't really supply you with a full strength platoon all properly organized. It was basically eight of their regular packs in a box for the price of seven. 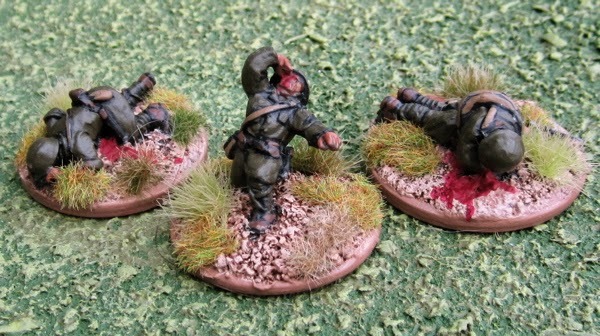 So I ended up with some not-so-useful extra command figures and only two sections of infantry. 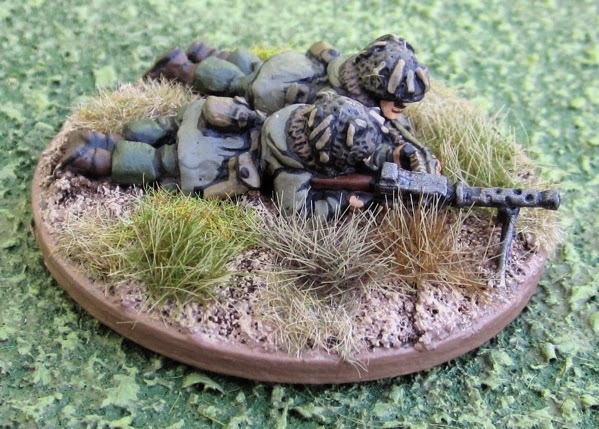 Shortly thereafter I picked up another section of infantry made by West Wind from ebay, or perhaps in a trade, to round out the platoon with a third section. 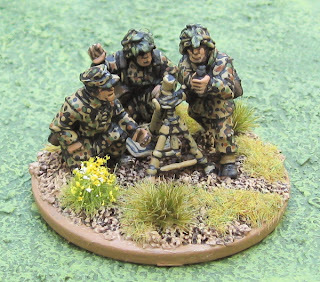 Later still I picked up the light mortar team from Crusader to make a full-strength, fully-kitted out infantry platoon. 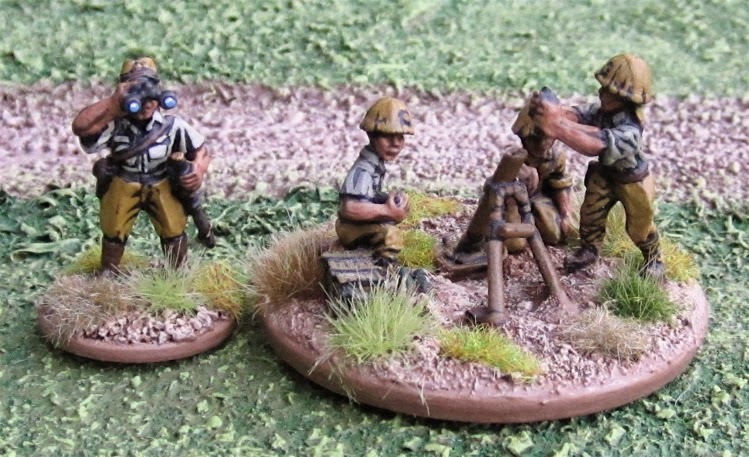 The command section - Officer, Platoon Sergeant, two Runners and a Light Mortar Team (with alternate commanders - in hats or in helmets) - all from Crusader Miniatures. 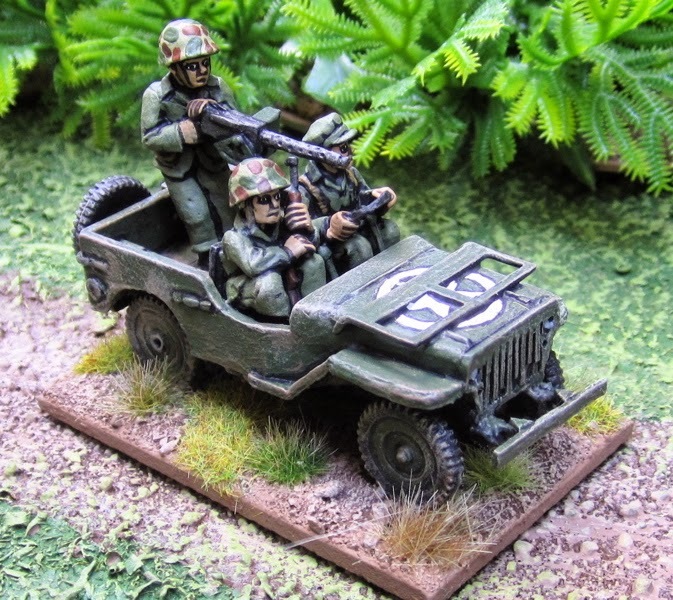 First Section - all from Crusader Miniatures. Second Section - all from Crusader Miniatures. Third Section - all from West Wind Productions. 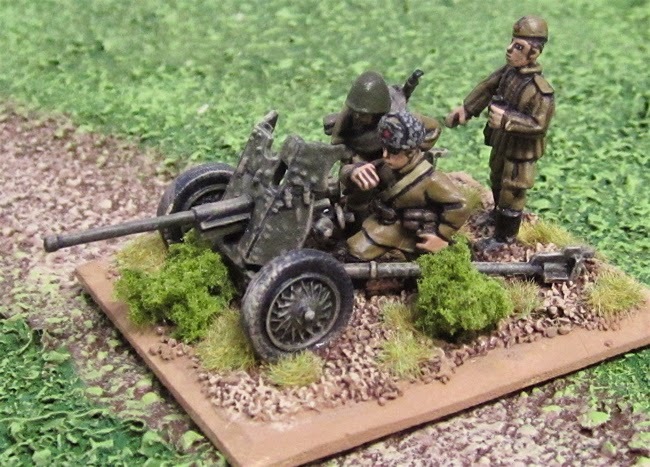 later war mortar team from Artizan Designs. Stug IIIC/D fromArmy Group North Miniatures. The commander I got in an odd lot off of ebay, so I have no idea who the manufacturer is. I seem to recall I had to shave off an arm and modelled a new one with green stuff. 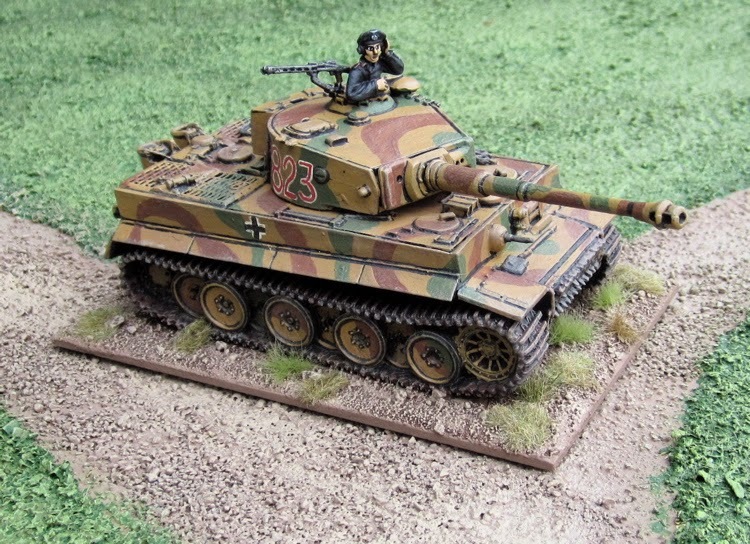 Tiger I from West Wind Productions. 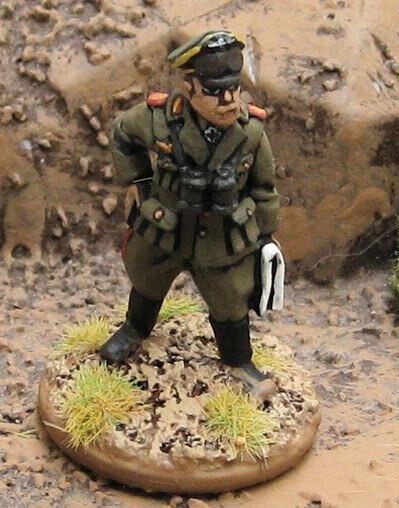 also Heer (regular army), but dressed for service in North Africa. This is the entire force - not even a platoon - I have no intention of adding any more to it. 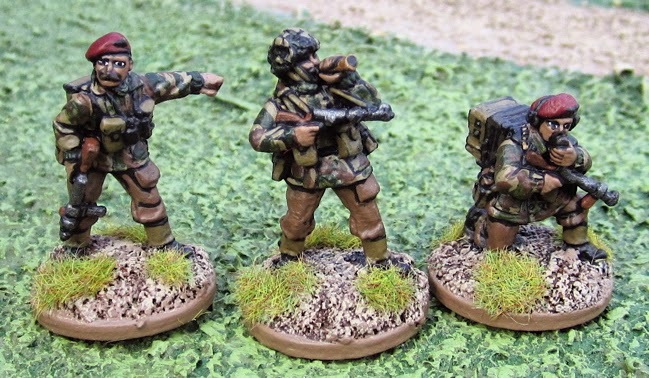 The figures are from Brigade Games “Ends of the Earth” line. 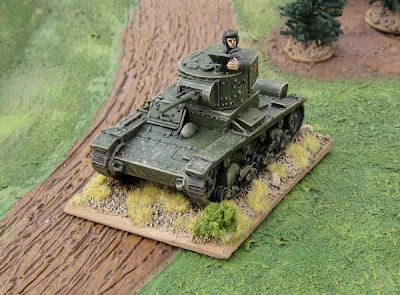 I also have a small force of SS troops - a platoon plus a few supporting elements (machine-guns and mortars) to oppose my Canadians in Normandy (12th SS Division) and my British Paras in Arnhem (9th and 10th SS Panzer Divisions). SS mortar team from Artizan Designs. 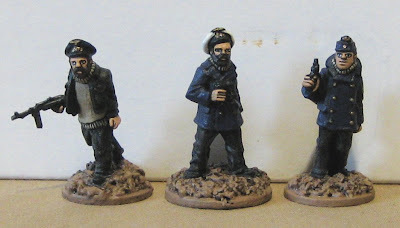 Kriegsmarine tropical U-Boat crew. 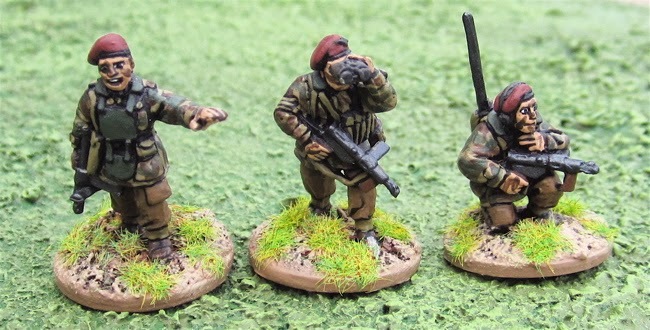 The figures are from Brigade Games “Ends of the Earth” line. I have a few forces from the United States. Regular Army Infantrymen and a few paratroopers that can be used in European operations (or possibly even North Africa or Sicily) and U. S. Marines for the South Pacific. One squad of jarheads from Battle Honors. USMC Jeep from Company B. 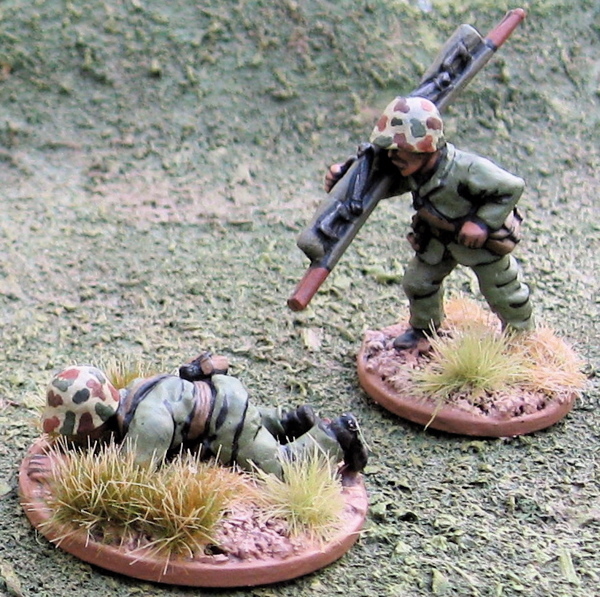 A couple of medics from The Assault Group. The gun on the ground might look like a casualty, but he is in fact a medic clutching his medical bag and crawling forward (presumably under fire) to reach his fallen comrades! Two Marine casualties - also from The Assault Group. 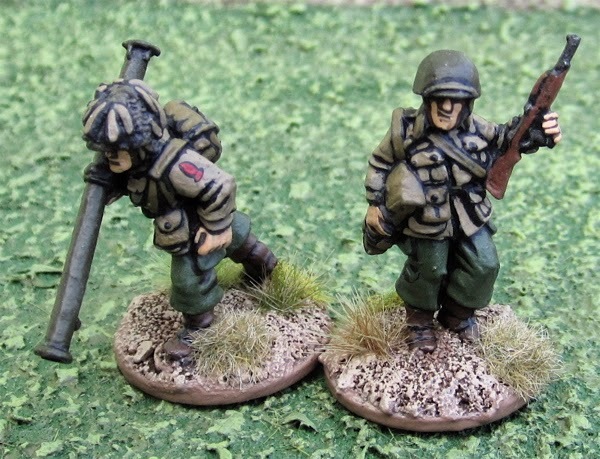 Another shot of the .30 Cal MG team so you can see some of the conversion work – mostly I tried to modify the jackets to look more like the FSSF parkas and rounded the edges of the pant cargo pockets to look more like the Mountain Trousers of the FSSF than the Jump trousers of the paratroopers. 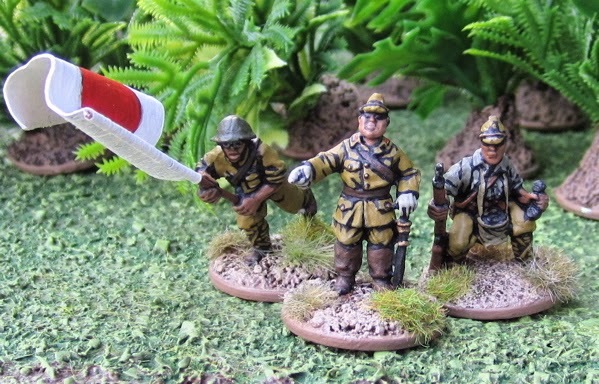 Here are a few of the Japanese I have finished. I painted them up a while ago. 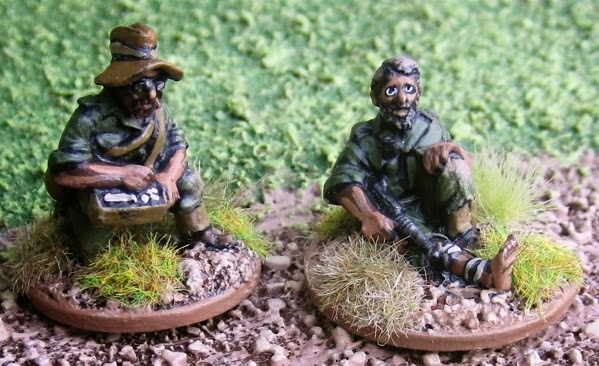 I’d originally picked them up off ebay to use as generic baddies for Pulp Adventure games set in the South Pacific. I didn’t do a whole lot of research. I Googled “Japanese WW2 Uniform” and saw there were green uniforms and there were mustard uniforms… so I went with green – not really realizing that would make them members of the Special Naval Landing Force. 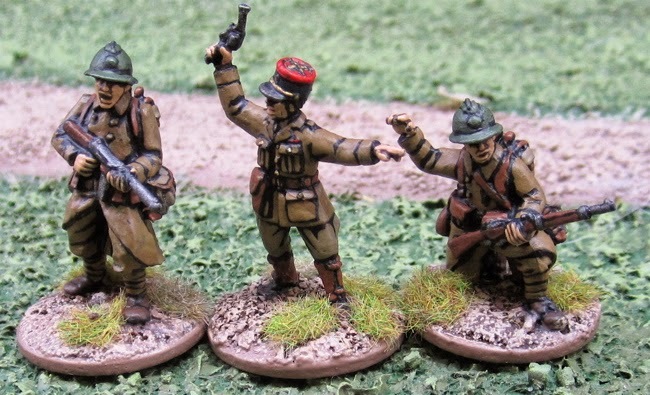 These figures are all from 1st Corps. 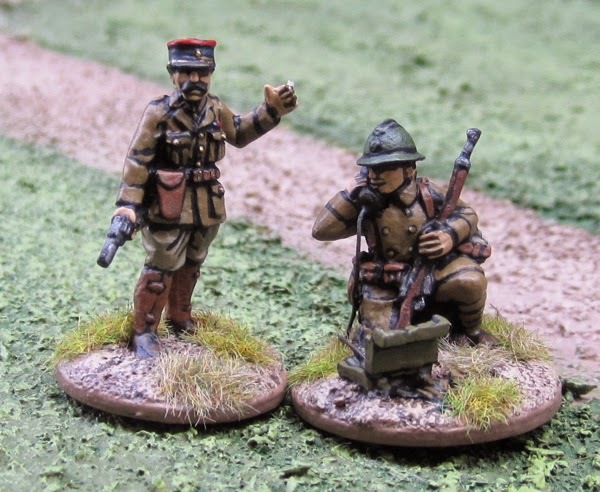 I had a few other Japanese from Battle Honors that I also painted like this – but have started repainting them – largely because these 1st Corps figures are HUGE and the Battle Honors are… considerably slighter and a better match for the Bolt Action figures I have also picked up to use as Imperial Japanese Army. 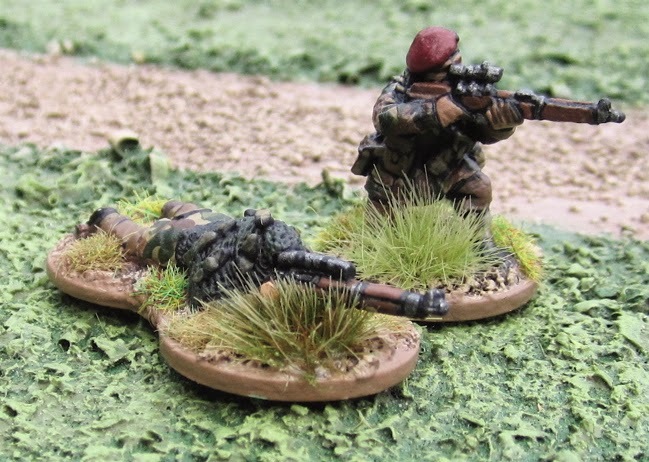 Command – two will be the platoon command, on will likely be a forward observer, the remaining one might pass for the company commander when he comes down for a visit – or to get things moving! 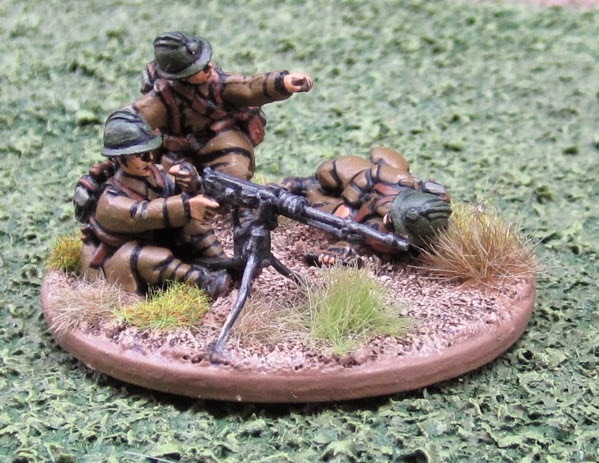 On thing that really, REALLY bothers me about SO MANY lines of modern figures (especially WW1 and WW2) is prone LMG teams – or worse just prone LMG gunners with no loader – where the rest of the bloody line is all standing! 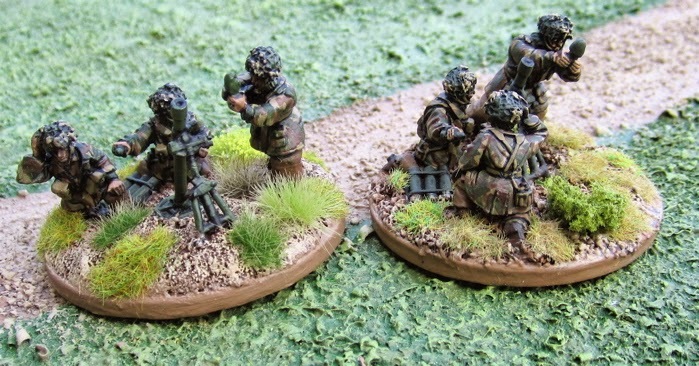 I really like that there is a fair variety of crouching kneeling figures in this line – big and chunky though they may be! Lovely work...as for he Commonwealth Pars....OF COURSE it makes perfect sense to have a full company. 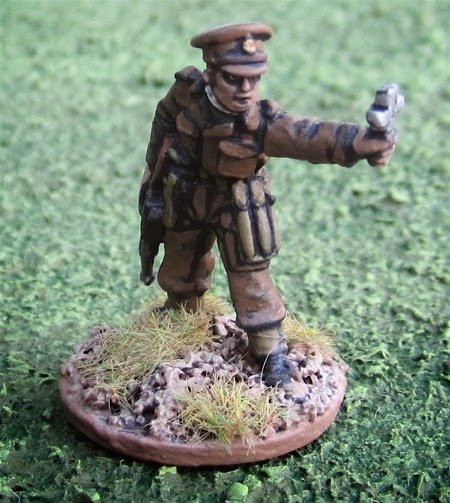 I've got 21st Independent Coy....186 officers and men...plus about 150 glider pilots and Royal Engineers My usual opponent (my wife Pat) has a company of Falshirmjagers - not to mention an ad hoc coy of 1944-5 Germans with 5 platoons and all the bells and whistles you can think of.... and a company of Canadians (Princess pat's of course). We use a heftily stripped-down version of Bolt Action and it works fine even with a one or two troops of tanks and raft of Hanomags and Bren Carriers. Fallshirmjagers... PPCLI... 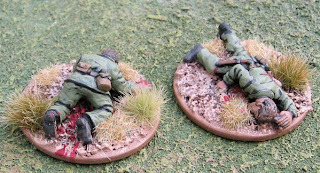 I'm willing to bet you have some Italian terrain for the ruins of Ortona? Not yet....I suspect it's just a matter of time due to Pat's love of all things Italian, but the Canadians have seen action in a Hing Kong game and a lot of her Germans have been to the Netherlands to play games in Arnhem and Oosterbeek on actual battle locations - the Dreyeroord and the Rhine Pavilion...how sad is that? 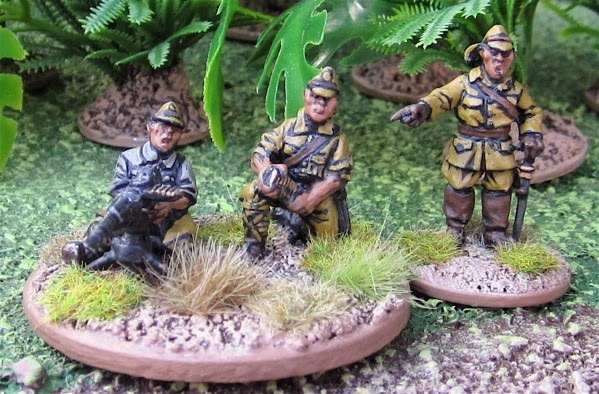 PS....Love your Japanese figures as well; thinking seriously about selling our 20mm Burma/Malaya stuff for 28s. Those are awesome projects. Where do you find the time to paint Tim? Thanks! Well I've been working on these for many years. I read somewhere that the average person in Saskatchewan watches 19 hours of television a week. I don't really have TV, so... I figure that's 19 hours I have for painting each week. I don't play video games or a lot of the other things that people spend a lot of time doing. Not saying what I do is "better" or anything. It's just about priorities and what you want to spend your time doing.